One skillet meals are quick, easy and convenient. There are many packaged one pot dinners but the homemade versions are always healthier and tastier. Essentially, you just throw all your ingredients into one pot and cook them all together. Here are five dishes to add to your recipe box. Farro and turkey sausage casserole will feed your family for days. Mild turkey sausage is sauteed with onions, garlic and sweet potato before the kale is added. The last step is to cook the farro with the sausage and vegetables in chicken stock. I like to serve this casserole with a generous sprinkling of parmesan cheese. 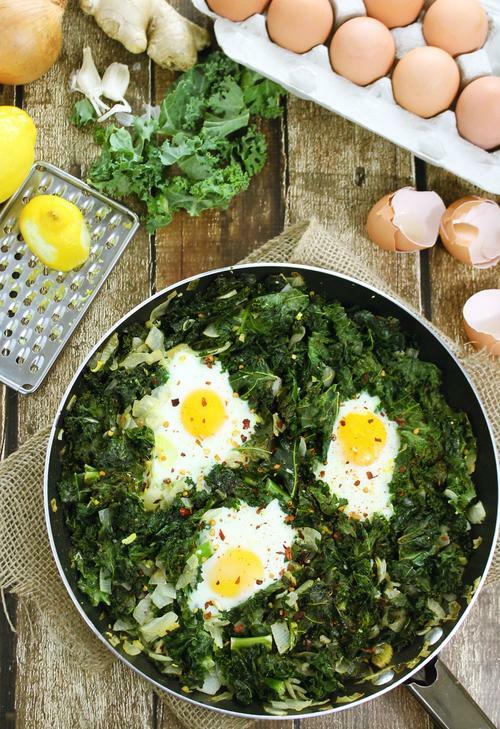 Lemon kale egg bake gives you a boost of protein and vegetables all in one dish. Kale is sauteed with onions and seasoned with lemon, garlic and ginger. The last step in the cooking process is baking the eggs in the oven for a few minutes. You can serve this meal for breakfast with wheat toast. 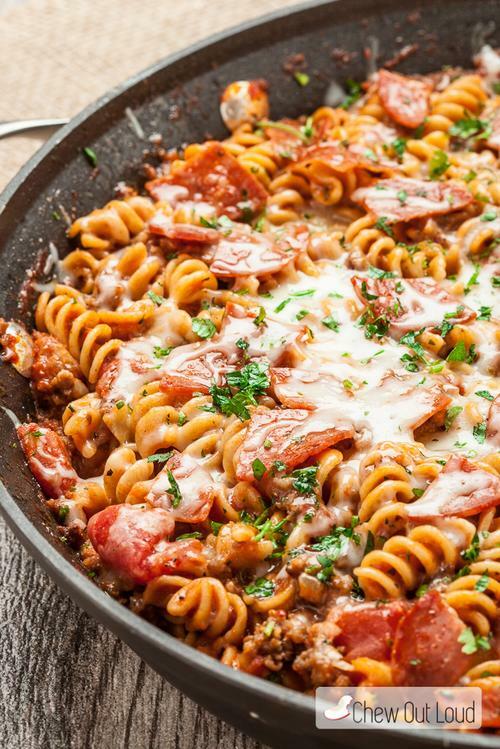 One pot pizza pasta is guaranteed to become a family favorite. Everyone loves pizza and this pasta is a mixture of marinara sauce and your favorite toppings including pepperoni and sausage. Feel free to add your own spin on this dish. Canadian bacon, olives and mushrooms would be other tasty toppings. Huevos rancheros is one of my favorite breakfast dishes and this one skillet recipe is easy. The meal is built in the pan, baked and served with warm tortillas. Garnish the huevos rancheros with thick slices of avocado and fresh cherry tomatoes. 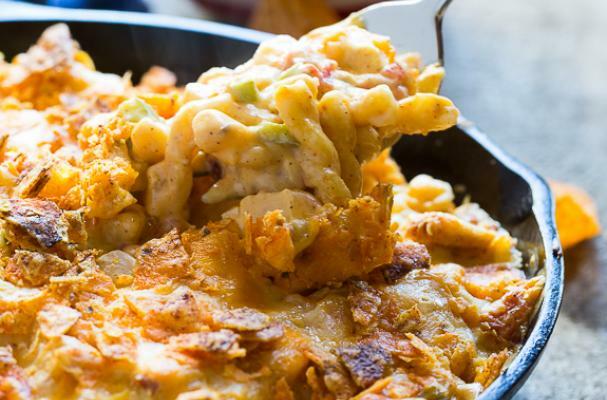 King ranch mac n' cheese is a new take on this classic comfort food. The cheesy noodles are mixed with chicken, chiles, tomatoes, bell pepper, and spices. Instead of breadcrumbs, the baked pasta dish is topped with crushed Doritos chips.